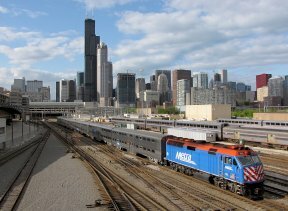 The Regional Transportation Authority (RTA) and the Chicago Metropolitan Agency for Planning (CMAP) announce the availability of funding and technical assistance for transportation, land use planning and implementation projects throughout the region as of May 5th. The RTA and CMAP are co-hosting an informational symposium on Tuesday, May 16 at Roosevelt University for those who want to learn about the application process. The symposium will also mark the release of the 2017 Call for Projects for RTA’s Community Planning and CMAP’s Local Technical Assistance (LTA) programs. In addition to learning about potential technical assistance opportunities, attendees will have the chance to discuss best practices with past award recipients and get one-on-one input on the application process. The symposium will be held at the Roosevelt University Murray-Green Library, Auditorium Building, 430 S. Michigan Ave., Chicago. Register at https://tinyurl.com/lk3j4dv; there is a $30 admission fee. Those who can’t attend the symposium can participate in a free, one-hour, virtual informational session on Thursday, May 18 from 2 to 3 pm, during which RTA and CMAP staff will deliver a brief presentation of the call for projects and then answer questions. The application period opens on May 5 and applications are due on June 29, 2017 at noon. 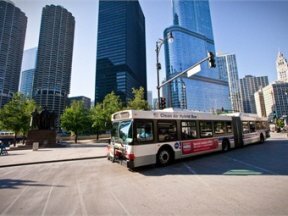 For more information on the RTA’s Community Planning program visit http://rtachicago.org/plans-programs/grants-projects/community-planning.